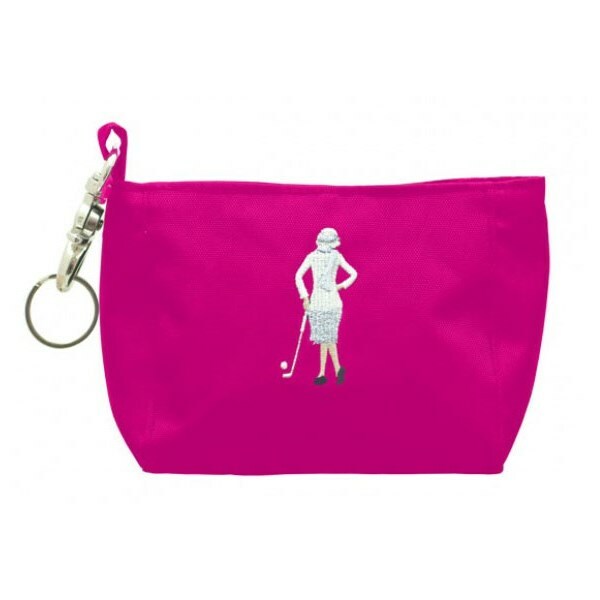 The Classic Hand Bag is the perfect accessory for any female golfer to put their valuables in and attach to their golf bag via the carbine clip that comes with the bag. 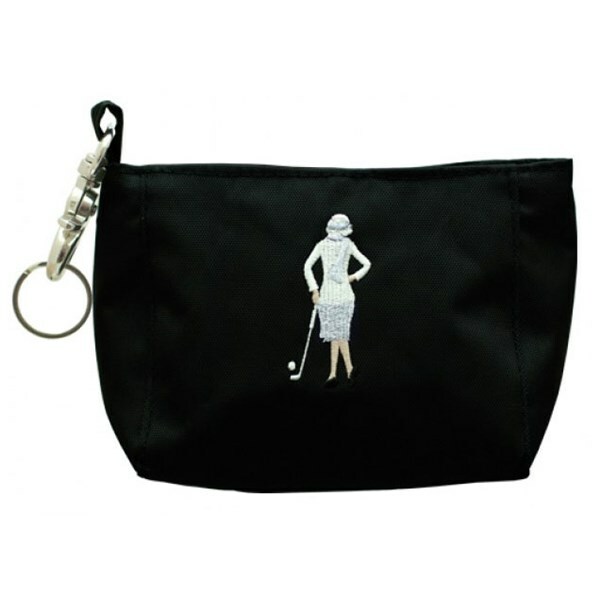 The Classic Hand Bag is accessory size and ideal for storing golf tees, ball markers and a couple of golf balls or a great place for storing your valuables such as a phone, keys or money. 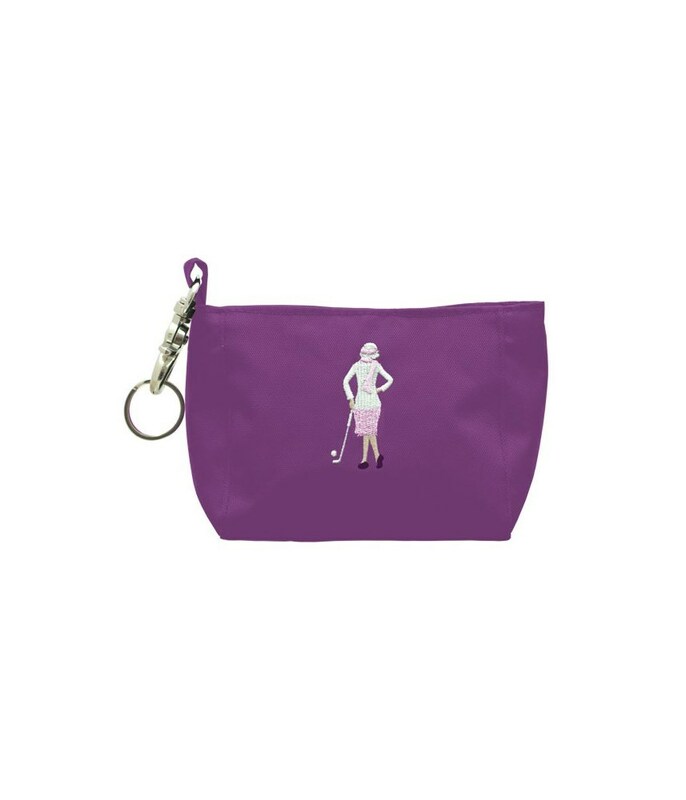 Made from a lightweight polyester and featuring an embroidered lady golfer that gives the Classic Hand Bag a classic look and feel. 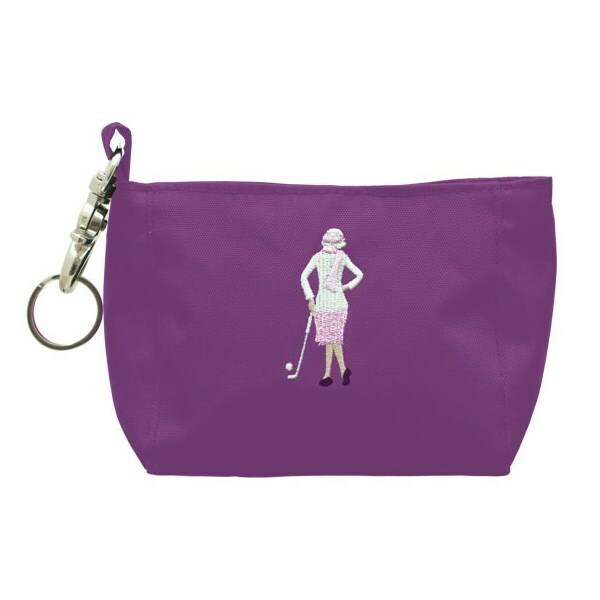 This product is made from 100% Polyester.